Professor Hurtado has followed up with another post (“Mythical Jesus”: The Fatal Flaws) that was prompted by my earlier criticism of what I considered his flawed, even unprofessional, treatment of Carrier’s arguments in particular and the arguments of the Christ Myth hypothesis more generally. In his reply Hurtado accused me of “dismissing” and “impugning” a huge body of scholarship as “gullible or prejudiced”. That is simply false. I have never “dismissed” any critical scholarship that I am aware of. I have learned much from — and greatly appreciate — that “huge body of scholarship” as the many, many posts on this blog amply testify. He further implied that I think there is some “conspiracy” involved and that scholars are “gullible and lazy”. What rot. Authors like Carrier and Doherty and Price and Brodie, in fact, engage critically with the “huge body of scholarship” and by no means suggest it is “gullible” or “conspiratorial”. That’s a farcical accusation. Larry Hurtado, please indicate a few scholars that you believe I or Christ myth advocates have “impugned” or “dismissed” as “gullible or prejudiced”. I can only surmise that Hurtado superficially skimmed my post with hostile intent and read into what is simply not there. Hurtado in his new post simply underscores his earlier claims and insists everything he wrote was fair and accurate — including his “three strikes” against Carrier’s argument. In doing so he has failed to defend his remarks against specific criticisms. He refuses to even read the arguments of mythicists apart from summary short articles online. In other words, he refuses to take the argument seriously (which is fair enough, since he hasn’t read it and clearly remains uninformed of its main substance) and has no desire to even attempt to do so. The very thought appears to be tedious to him. That’s fine. I don’t bother to look into things that don’t interest me, either. But I don’t claim to know all I need to know about those things or bother writing criticisms of them. That would indeed be tedious and worse. Recently I thought I read that Hurtado boasts that he regularly presents both sides of an argument on his blog. That claim is true, I think, of only a handful of viewpoints that he addresses. My early encounters with Hurtado were actually to challenge him to present alternative views to the one he argued in a post (and no, the topic had nothing to do with “mythicism) and that was published by his scholarly peers. I don’t understand why Hurtado wrote his second post with reference to me since he does not engage with my primary concerns and criticisms. He simply repeats his unprofessional personal accusations and the same criticisms that I attempted to demonstrate were ill-informed and adds a few more remarks that fall somewhat short of total accuracy. So, ignoring the various red-herrings and distortions of the “mythicist” advocates, the claims proffered as “corroborating” their view have been shown to be erroneous. And this is why the view has no traction among scholars. There’s no conspiracy. It’s not because scholars are gullible or lazy. The view just doesn’t stand up to critical scrutiny. And that about sums it up. Hurtado has very little knowledge of the mythicist arguments, refuses to read the books, contents himself to skim reading (if not skim reading then reading with hostile intent) and distorting what is found on a couple of websites, and then claiming that the arguments have been subjected to “critical scrutiny” and “shown to be erroneous” and that’s why “the view has no traction among scholars”. Hurtado’s recent posts have demonstrated in fact that that’s not the reason the view has no traction among scholars. There is evidently something else involved and the hostile, less than professional attitudes and accusations from Hurtado surely are the symptoms of that “something else”. We have more evidence about the beliefs, behavioral practices/demands, and diversity in early Christianity in the first two centuries AD than for any other religious group of the time. From within the few decades we have real letters sent from a known author (Paul) to named and known recipients (e.g., Corinth, Thessalonica, Galatia), in which contemporary issues of belief and practice surface and are addressed, and in which also a whole galaxy of named individuals appears, along with information about them. I think we can be more precise. From [apparently] within the few decades [of the reported crucifixion of Jesus under Pilate] we have real letters [widely but not universally believed to be real] [that purport to be] sent from a known author (Paul) to named and known recipients (e.g., Corinth, Thessalonica, Galatia), in which [supposedly] contemporary issues of belief and practice surface and are addressed [although often the same issues are also addressed in the second century], and in which also a whole galaxy of named individuals appears, along with information about them. we quite readily set aside some letters claiming to be by Paul as spurious and merely assume that a subset of the total corpus are simply because they appear to be expressed in a common style and with a common theological outlook. How does one go about questioning and engaging in discussion views that we find problematic. 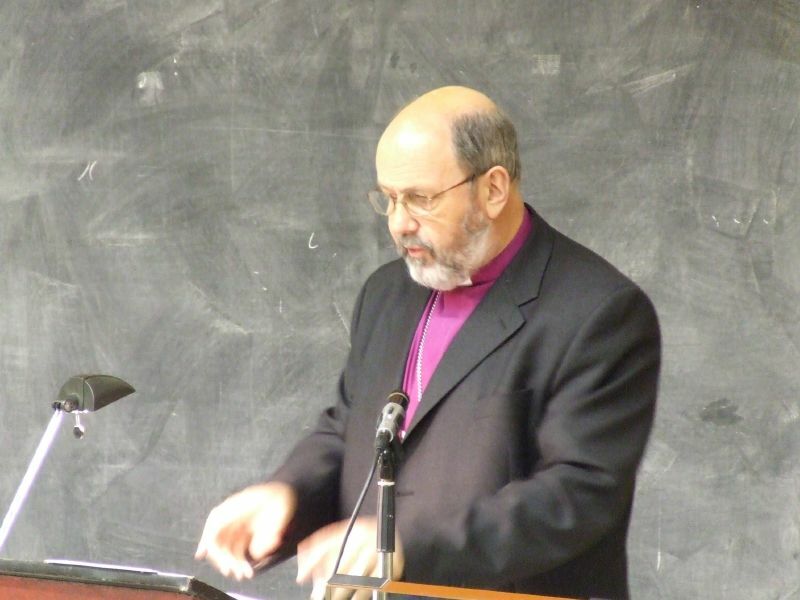 Jim Davila, Professor of Early Jewish Studies at the University of St Andrews, was impressed with words of wisdom posted by Larry Hurtado, Emeritus Professor of New Testament Language, Literature and Theology at the University of Edinburgh, to add good advice of his own for sake of completeness. Jim Davila, Professor of Early Jewish Studies at the University of St Andrews, was impressed with words of wisdom posted by Larry Hurtado, Emeritus Professor of New Testament Language, Literature and Theology at the University of Edinburgh, on this question in relation to biblical studies, so much so, that he added an afterthought of his own for the sake of completeness. I will start with Davila’s comment because it reminded me that I have not always lived up to it but it expresses an ideal I have nonetheless strongly believed in. I have attempted to apply this principle as consistently as possible in formulating my own views and arguments, but have sometimes kicked myself for failing to do the same in one-on-one discussions over particular points. Let me add one of my own, which I got from the philosopher of science and epistemologist Karl Popper. When I set out to respond to a position with which I disagree, first I look for ways to make the case for that position stronger. Can weak arguments be reformulated more clearly and compellingly? Can I find any evidence that my opponent has missed which offers additional support to the case I want to refute? I try to make sure that I am responding not just to my opponent’s case as presented, but to the strongest possible case I can formulate for my opponent’s position. I find that this approach helps me process positions with which I disagree more receptively and with better comprehension. Try it. I think you will find it works. While it is one thing to apply that message to tackling hypotheses proposed in books, it might be another to apply it in personal discussions in online commentaries and exchanges. It takes patience, time, and effort to understand before clicking the “send” button. 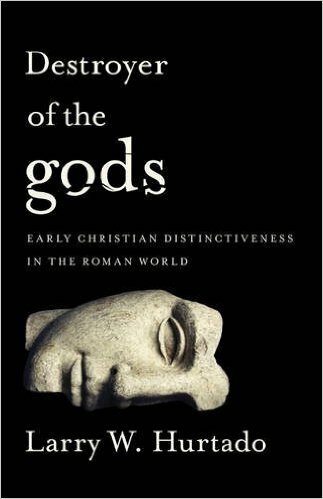 A steady stream of my RSS notices over recent weeks and months have alerted me to interest in a new book by Larry Hurtado, Destroyer of the Gods: Early Christian Distinctiveness in the Roman World. The title is dramatic enough. Search the term “destroyer of the gods” on Google’s Image search to see the dramatic scenarios it conjures. But the book is not about how Christianity “destroyed the gods” of ancient Rome (at least not directly) as the subtitle less dramatically warns. 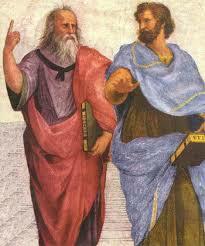 Paul makes an “astonishing move” in the way he reinterprets the Old Testament for his own day. 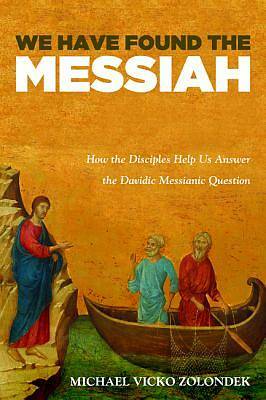 The earliest Christians did not simply come to believe that Jesus had been resurrected, but far more, Hurtado drives home to readers that they held “the startling conviction that God had raised Jesus from death”. Christianity “both focused on Jesus and had a sense of distinctive group identity” “from an amazingly early time”. Christianity grew “remarkably” in its first two hundred years. Christians “demonstrate the remarkable and admittedly unusual power of their own citizenship [of the kingdom of God”. The written outputs of Christians was also “remarkable” — “it is remarkable to have four extended accounts of Jesus’ ministry produced by as many authors and all within such a short period.” The commitment to produce the Christian writings required “strong commitment” and a “remarkable readiness” to do so. The early Christian movement was identifiable and distinguishable particularly by the extraordinary reverence typically given . . . to Jesus along with God. In discussing Christian worship practices in their Jewish context Hurtado uses the word “unique” near to two dozen times. All of this emphasis on the “astonishing” and “remarkable” and “unique” is deliberate. Hurtado’s stated aim in writing the book is to shake readers from what he sees as their all too common complacency of taking so much about Christianity for granted and to appreciate how “astonishing”, “amazing”, “unique” and “remarkable” Christianity really was during its first three centuries of life. The message of the book is that early Christianity stood out like a bright shining light in the midst of a sea of benighted pagan religions and philosophical schools and primarily for this reason it was able to “destroy all other gods” and take over Western civilization. Who Were the Hellenists in Acts? 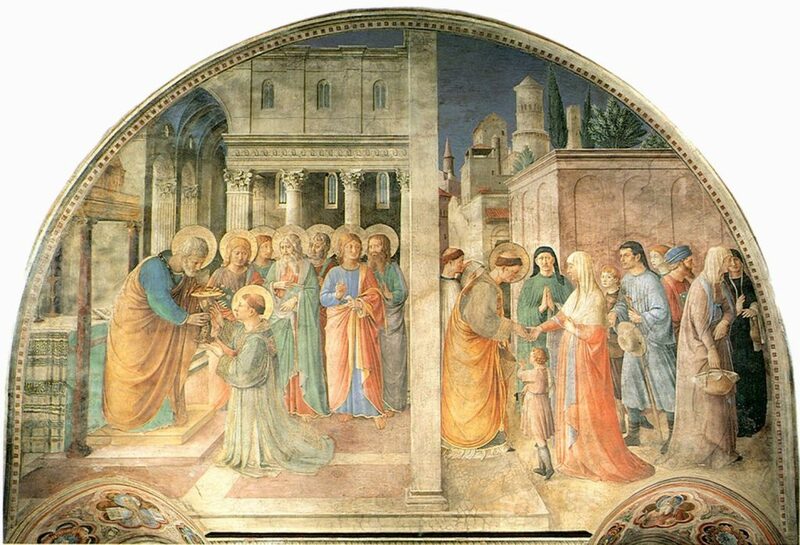 By Fra Angelico, “Life of Stephen: Ordination and Distributing Alms” — making sure the Hellenist widows get a fair deal. 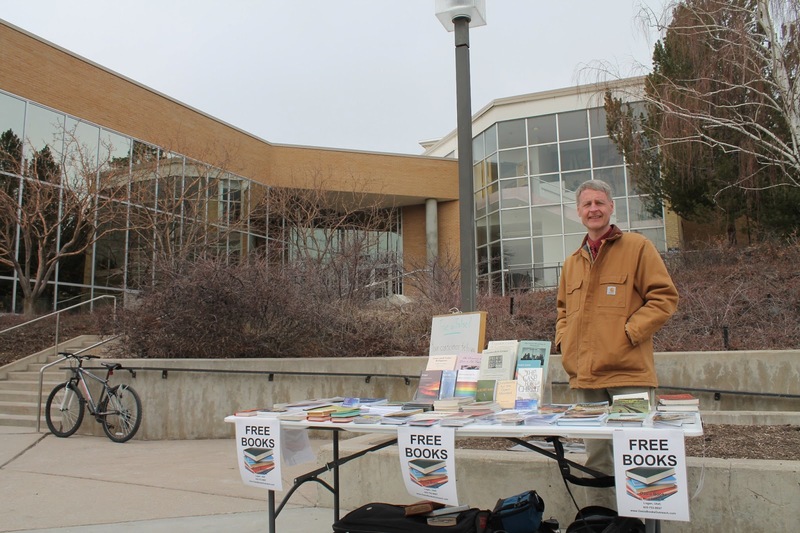 Larry Hurtado’s Blog is a sincere effort to share biblical scholarship with a wider lay readership. He has most recently pointed to a site that promises to address biblical issues for a general readership and even has an “ask a scholar” section: Bible Odyssey. Hurtado’s interpretations are (in my view) quite conservative. I think one should raise questions when a scholar’s explanations for so many questions coincidentally support traditional Christian dogma. I don’t suggest that all of his views should be suspect for that reason alone: I have found some of his analysis into how soon Jesus was worshiped as an exalted divine figure to be very strong. But I think Biblioblogs fail to fully respect readers when they present just one view of scholarly research as if that one view were “the correct” one. 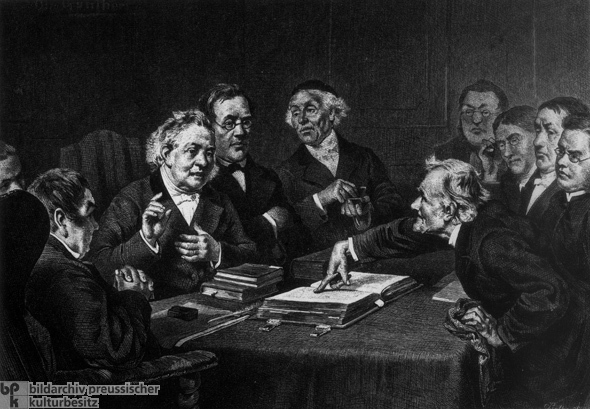 Vridar was started as an attempt to share “the other side” of so much scholarly research in biblical studies. When I first took up learning so much about scholarly studies into the nature and origins of the Biblical literature I found that it was so difficult to wade through so much that was logically suspect or short on clear evidence. There was so much assumption, specious reasoning, possibilities that were transformed to probabilities and then to facts, circular argument . . . . and most of it was (suspiciously) essentially consistent with conventional religious dogmas. No Public Engagement, Please. We’re Theologians! Emeritus Professor Larry Hurtado is a well respected scholar who has made significant contributions to his field. I have read four of his books (How on Earth Did Jesus Become God? — which I have discussed favourably on this blog; One God, One Lord; Lord Jesus Christ; and The Earliest Christian Artefacts) and have a fifth (“Who Is This Son of Man?”) on my shelf waiting in line to be read soon. I have learned a lot from Professor Hurtado. I especially love to follow up footnotes and I have learned much from other readings to which Hurtado’s works have led me. However, I also have some differences with the Professor. That’s only to be expected. Probably none of will ever find anyone with whom we agree on everything. In an exchange some time ago I realized just how deep our differences were when I asked him for what he considered the bare raw data that any historian of Christian origins needs to be able to explain. His reply demonstrated that he is fails to distinguish data from interpretation. (I described this interaction and illustrated Professor Hurtado’s confused reply in Who’s the Scholarly Scoundrel? — Do excuse the editorial choice of heading. I do not believe Larry Hurtado is really a scoundrel. I once almost had the opportunity to visit the university where he resides and had looked forward to shaking his hand had the trip come off.) I found this confusion of data and interpretation/conclusions drawn from data alarming in someone who claims to be a historian. But then long-term readers of this blog will know how I have often pointed out the stark differences between the way historians of other fields when at their best employ methods that are unlike anything found in theology departments. Richard Carrier is not the only historian to point to Bayes’ theorem as a tool that can help historians monitor their biases and lapses in valid analyses of data and prod them towards more reliable results. Historians of the New Testament have a lot of catching up to do. I won’t repeat here what should be the very obvious counter-arguments that I have spelt out in the related posts linked above, especially Can A Lay Person Reasonably Evaluate A Scholarly Argument?